Microsoft's Cortana digital assistant, which has picked a perfect 14 straight winners in every game of the World Cup's knockout stage, puts "her" record on the line this weekend. 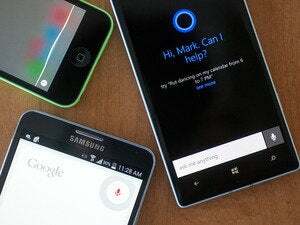 Which country does Cortana predict to win the World Cup? Germany, which annihilated Brazil 7-1 in the semifinal game. But it's the predicted winner of the third-place game that should raise a few eyebrows: Brazil, which Cortana favors over a Dutch team that narrowly lost to Argentina in a penalty shootout. If you don't believe Microsoft, though, take comfort in the fact that Google predicts exactly the same result. Cortana's response when asked, "Who will win the Germany-Argentina game?" on Friday, July 11. Google's model has been right 92.86 percent of the time, the company said. Cortana's expertise in large part rests on the shoulders of David Rothschild, a Microsoft researcher and economist, who leans heavily on predictive markets to come up with Cortana's predictions. One of the world's largest predictive markets, Betfair, picked Brazil to win the World Cup before the tournament began—which, to be fair, Rothschild's "Bing Predicts" model did as well. "Normally, sports playoffs do not actually update the predictions that much," Rothschild explained before the Cup began. "There is a long regular season, and the way a team plays in any given game of the playoffs is not providing too much new, meaningful information. That is not the case in the World Cup, which lacks a regular season, so each match tells me a lot, and the long duration of the event means I am making serious updates after every match, not to mention during the match." Microsoft did not return requests for comment by press time. 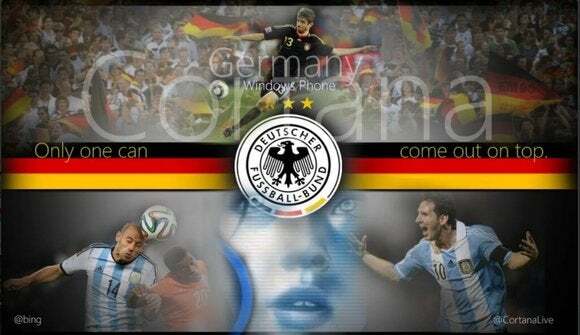 Google, too predicts that Germany will come out on top, with a 55 percent chance of defeating Argentina. And Brazil has a "tiny" advantage over the Netherlands, the company wrote in a blog post. "Both teams have had excellent tournaments so far, but the model favors Germany for a number of factors," Google product marketing manager Benjamin Bechtolsheim wrote. "Thus far in the tournament, they’ve had better passing in the attacking half of their field, a higher number of shots (64 vs. 61) and a higher number of goals scored (17 vs. 8)." Google did open up its model, however, so that data geeks can plug in their own data and see if they can do better. Perhaps for that reason, Bing and Cortana gave Brazil the edge in the third-place game. But if there ever were a chance for an upset, according to PCWorld's unofficial soccer predictive technology (little more than a gut feeling) it will be that game. This story was updated at 12:27 PM with Google's predictions.